Home / News / Is this Bala Krishna, Krishna Vamsi’s film title? 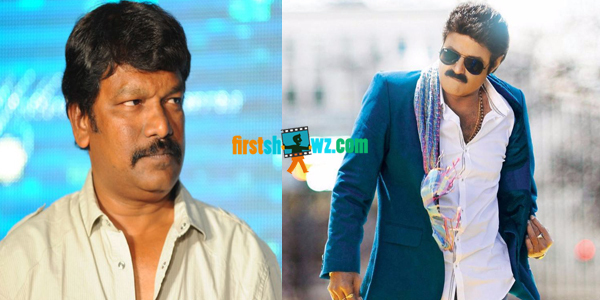 Is this Bala Krishna, Krishna Vamsi’s film title? Bala Krishna's 100 th film has been in news for a while, and several directors names including Singeetham Srinivasa Rao, Anil Ravipudi and Boyapati Srinu made rounds on grabbing the chance of directing the Nandamuri actor’s milestone film. However, nothing has been confirmed, and the latest we hear is that creative filmmaker Krishna Vamsi grabbed the chance to don the director cap for Bala Krishna’s 100th film. As per the reports Bala Krishna has come up with the idea of the title Raithu (Farmer) for this movie, to be set in the Village backdrop. The discussions are in progress and nothing has been finalized yet. An official confirmation is awaited. Bala Krishna for now is partaking in the arrangements for the Lepakshi celebrations to be held at his Hindupur constituency from February 27.